It is sometimes easy to forget that celebrities are humans too, and not quite as "larger than life" as they seem. As such, they are prone to the same trials and tribulations as everyone else, which includes relationship troubles. 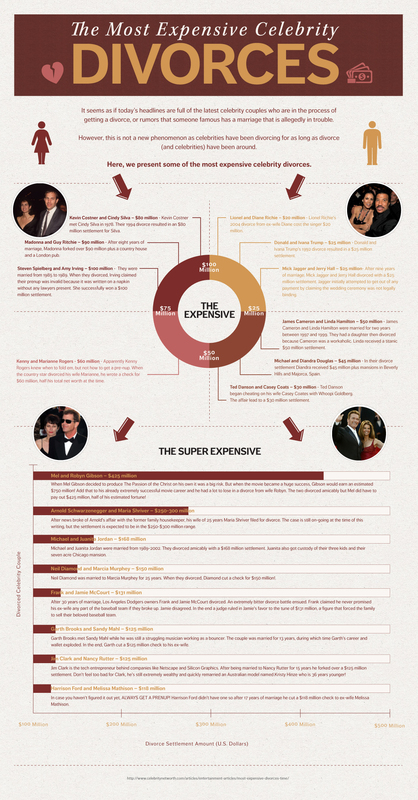 Here we present some of the most costly celebrity divorces ever recorded.